Argentina coach Lionel Scaloni insisted his relationship with Sergio Aguero is "perfect" and that reports of an argument are "absolutely false" after ignoring the Manchester City star for another international squad. Lionel Messi has been named in the selection to end his hiatus, as he looks set to make a first appearance for Argentina since their disappointing World Cup campaign last year. However, Aguero's post-Russia exile continues, despite scoring 18 goals in 25 Premier League appearances for City this term. 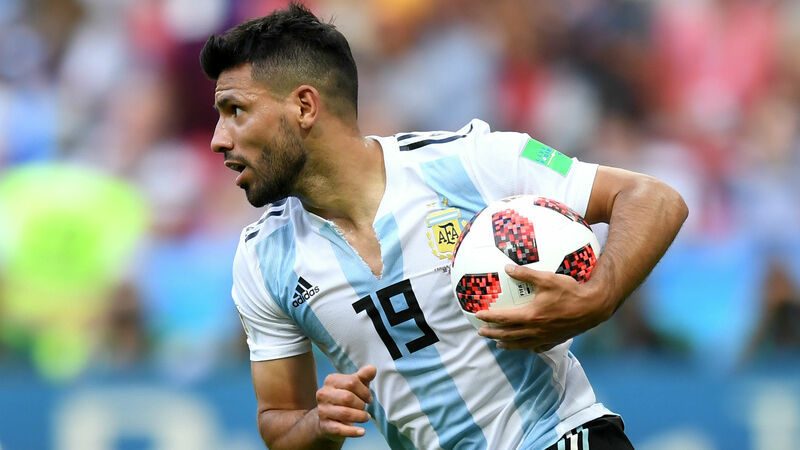 Reports have previously suggested Aguero and Scaloni were involved in a row during Argentina's fractious World Cup campaign. But Scaloni moved to dismiss those claims, explaining Aguero's latest absence is down to wanting to give less-experienced individuals a chance to impress. "I want to clarify that my relationship with him is perfect," Scaloni told a news conference on Thursday. "I have heard and read that I had an argument, and it is absolutely false. I want to emphasise that there are no problems and the relationship is the same, he is an extraordinary boy. "I talked to him in August when we just spoke about his situation. Football-wise he is on an incredible level, but I have to call players who have not put on the shirt. "We think it can be good to look at more players and not always stick with them." Argentina will face Venezuela and Morocco in friendlies on March 23 and 26, respectively.